The Chevrolet Equinox has its hands full in the crossover market, but with the recent move in the 2018 model year, there are only a few small improvements needed for the 2019 model. The compact crossover SUV market is one of the most admirable and enjoyable vehicles on the market. This SUV is one that shows up with three engines for you to choose from, a long list of excellent features for the drive, and a versatile cabin that’s great for you. This is a smart and impressive small SUV that has the power you’re looking for and some excellent ways to enjoy the ride. The Equinox is perfect when you have a small family, need to enjoy carrying cargo where you go, and want to have a great drive every day. Take a look at this SUV and select the right powertrain for the drive you want. This SUV also brings you the benefits of the 4G LTE Wi-Fi system that can allow you and your family to connect and enjoy the road with ease. 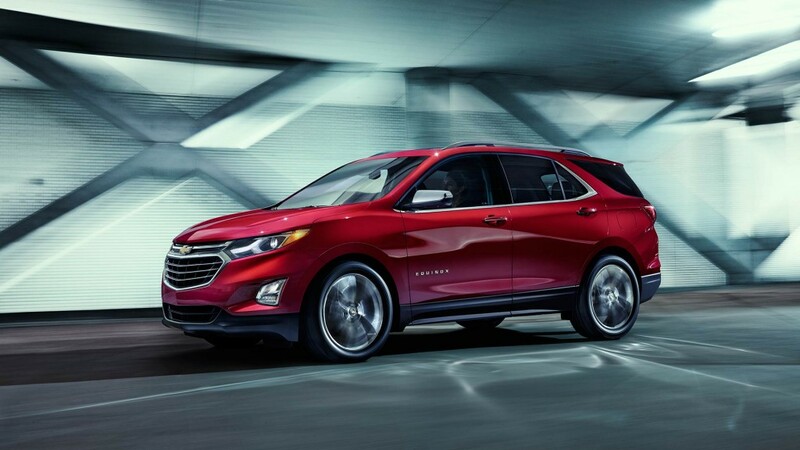 The 2019 Chevrolet Equinox offers you a few additions to what you’ve seen in this SUV. When you shop for this SUV you’ll have the benefits of active safety and driving features that make sense for you including adaptive cruise control and pedestrian sensing automatic braking. There’s also a higher definition rearview camera is optional, and the infotainment system has been updated to give you more connectivity and a faster operation when you make use of it when you drive on the roads in this beautiful SUV. There are four main trims offered for the 2019 Chevrolet Equinox which are L, LS, LT, and Premier. The L trim is offered with keyless entry, push-button starting, a seven-inch infotainment system, four USB ports, Apple CarPlay, Android Auto, 17-inch wheels, the Teen Driver system, and the 4G LTE Wi-Fi hotspot system. Move to the LS and add a compact spare tire, compass, and carpeted floor mats. The LT gives you a standard eight-way power drivers’ seat, SiriusXM satellite radio, tinted rear glass, HID headlights, and a color driver information screen. The top of the trim line, the Equinox Premier, brings in a leather interior, heated front seats with driver position memory, a hands-free power tailgate, an eight-inch infotainment screen, a navigation system, dual-zone climate controls, roof rails, blind spot monitoring, and rear cross traffic alerts. Optional items on all models include forward collision alerts, automatic emergency braking, adaptive cruise control, a Bose audio system, ventilated front seats, a heated steering wheel, and a panoramic sunroof. There’s a Redline Edition package you can add that brings you an aggressive black grill, black mirror caps, and black Chevy badges. When you’re ready to make the Chevy Equinox the SUV you want to enjoy when you drive, you’ll have three engines to choose from. The base engine is a 1.5-liter turbocharged four-cylinder engine that makes 170 horsepower and 203 lb.-ft. of torque. This engine and the 1.6-liter turbocharged diesel four-cylinder model that gives you 137 ponies and 240 lb.-ft. of torque are both attached to a six-speed automatic transmission. The third powertrain is comprised of a 2.0-liter turbocharged four-cylinder engine that makes 252 horsepower and 260 lb.-ft. of torque which is attached to a nine-speed automatic transmission. The Chevrolet Equinox is an SUV that we can talk about for days and find great items everywhere we look. Visit your nearby Chevrolet dealer today and open the rear hatch to see the cavernous space inside, get in the driver’s seat and check out the comforts and controls offered, fold down the rear seat and see how much space you have to make use of. This SUV is one that can work for a variety of driving needs and it gives you the pleasure you want when you’re ready to take it out on the road for the daily driving you need to experience.